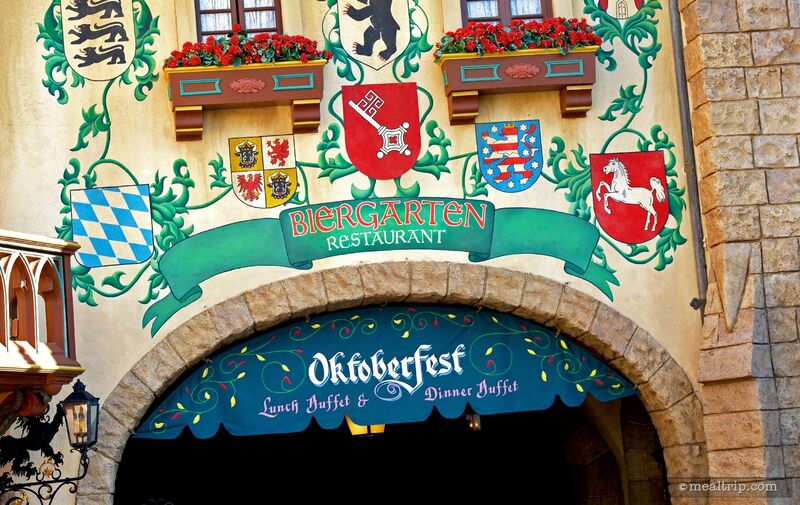 The Biergarten Restaurant Dinner listing is a Buffet dining location at Epcot featuring German cuisine. There are 17 photos in the Mealtrip photo gallery for this location and dining period. 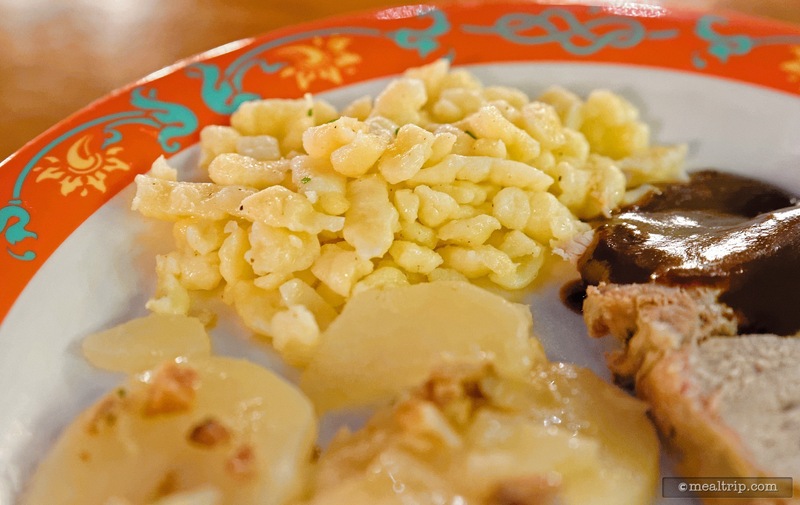 The Biergarten Restaurant Dinner listing currently has a score of out of 100. Click here to read all of the reviews for this location, or log in to Mealtrip.com to add your own review for Biergarten Restaurant Dinner. Looking south, into the German pavilion, the Biergarten entrance is located on the left. The dinner crowd at the Biergarten Restaurant. 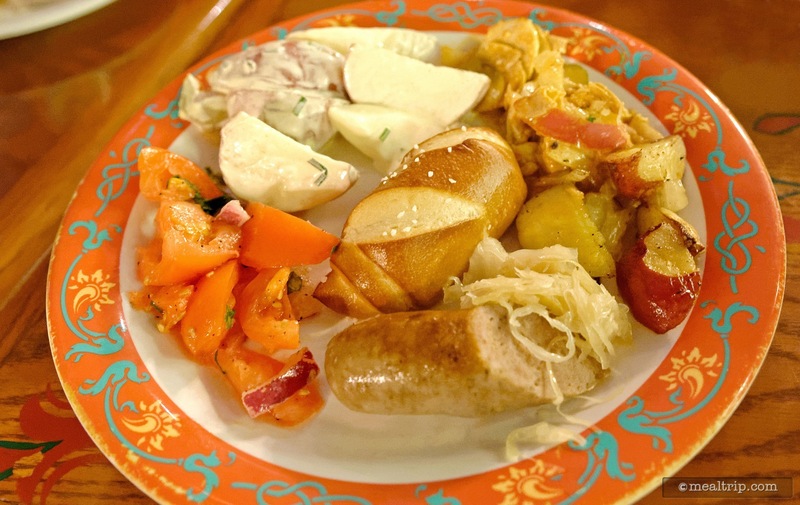 A buffet plate with Biergarten's pretzel bread, sausage, sauerkraut, and potato salad. 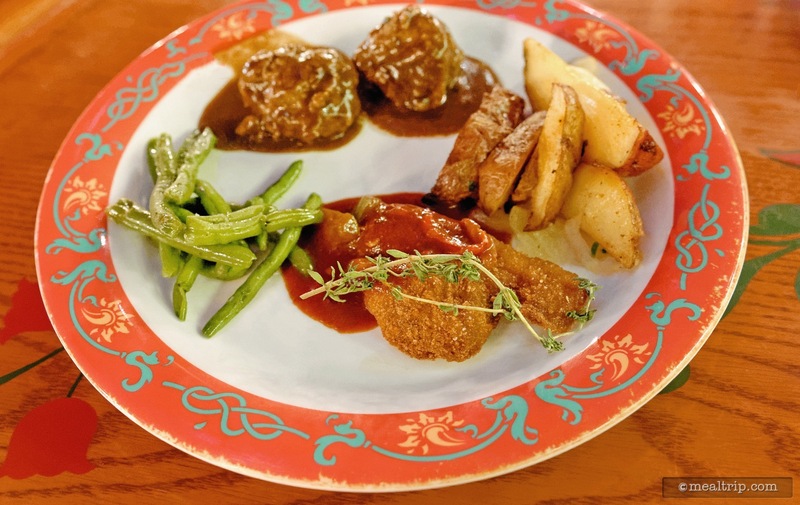 Meatballs in a dark herb sauce, chicken schnitzel, and green beans fill a plate from the Biergarten in Epcot. A close up view of Biergarten's Spatzel. 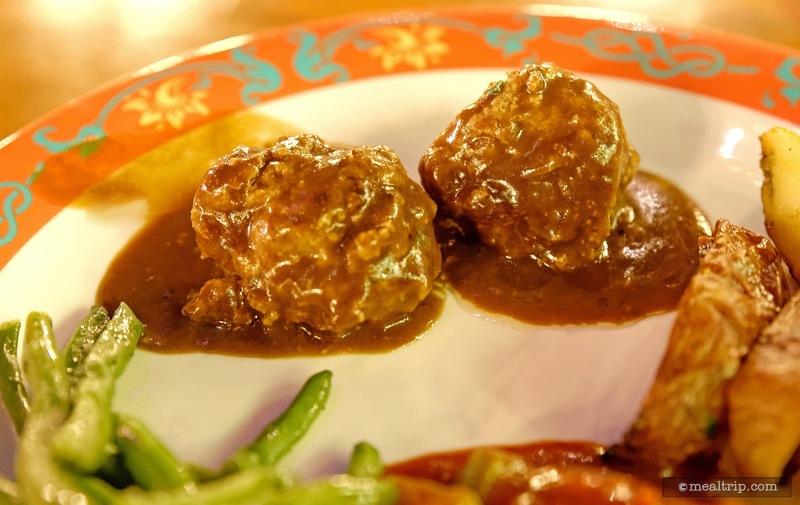 Meatballs in a dark herb sauce at Biergarten Restaurant. 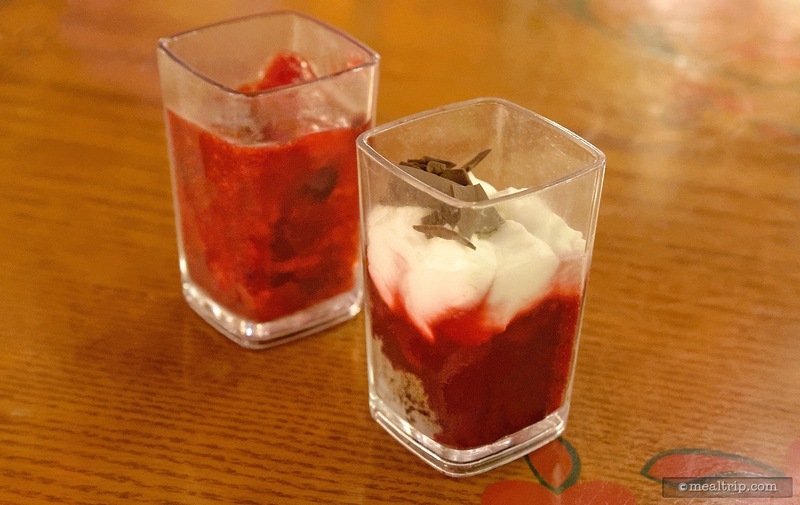 Dessert cups change seasonally but usually contain some type of berry compote and heavy cream type base. 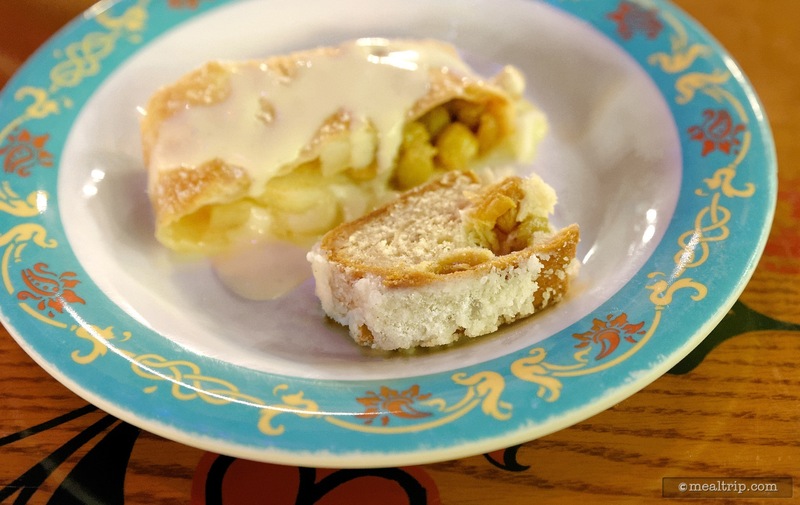 Apple Strudel and Stollen Bread from the Biergarten dessert station. Stollen, is usually only available around the holidays. 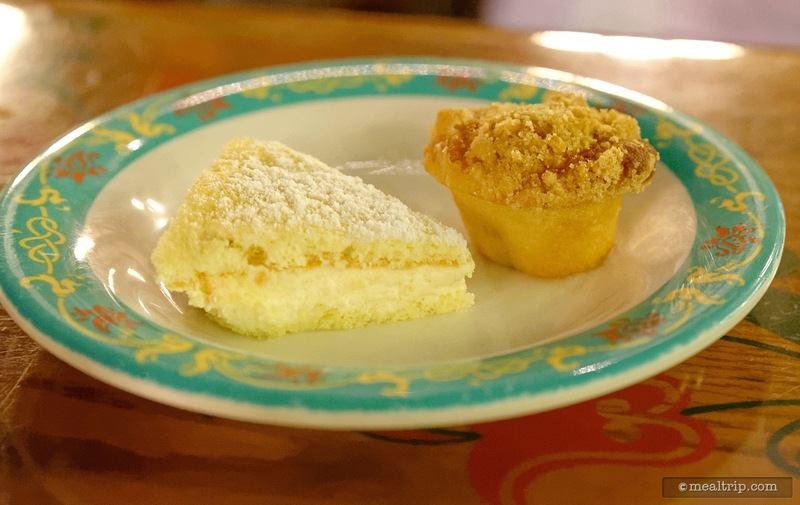 Bavarian cheesecake and a small strudel cupcake from Biergarten's dessert station. 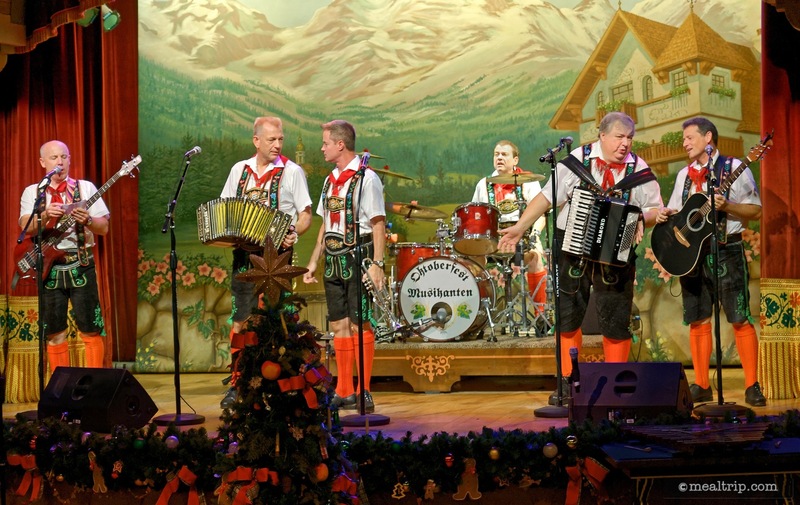 Oktoberfest Musikanten perform in Epcot's Biergarten Restaurant. 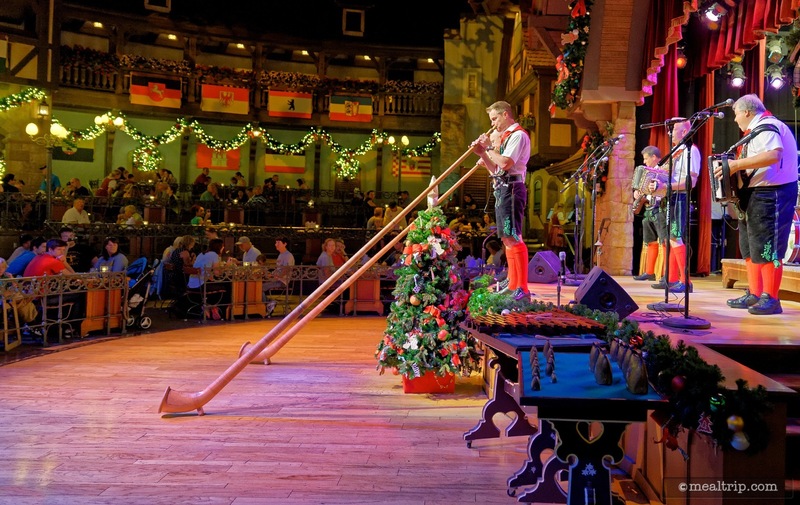 There are several featured instruments during each of Oktoberfest Musikanten's performances. 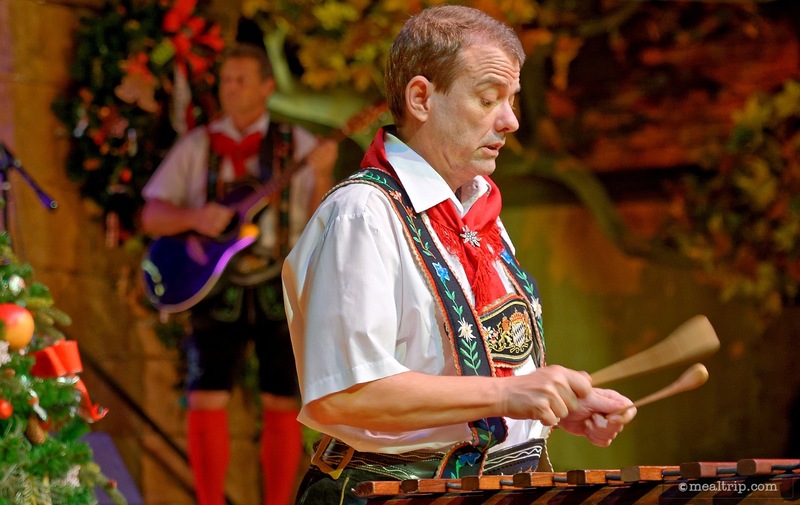 A glockenspiel feature during one of Oktoberfest Musikanten's performances. 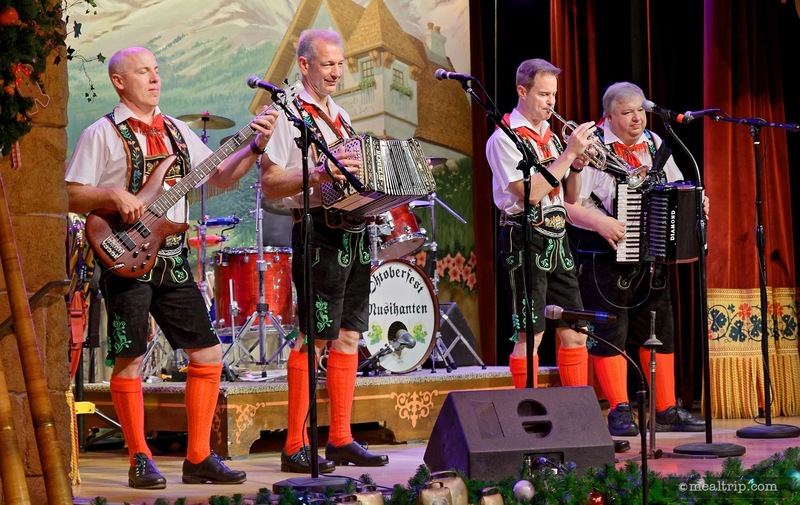 The members of Oktoberfest Musikanten get to wear some cool lederhosen. 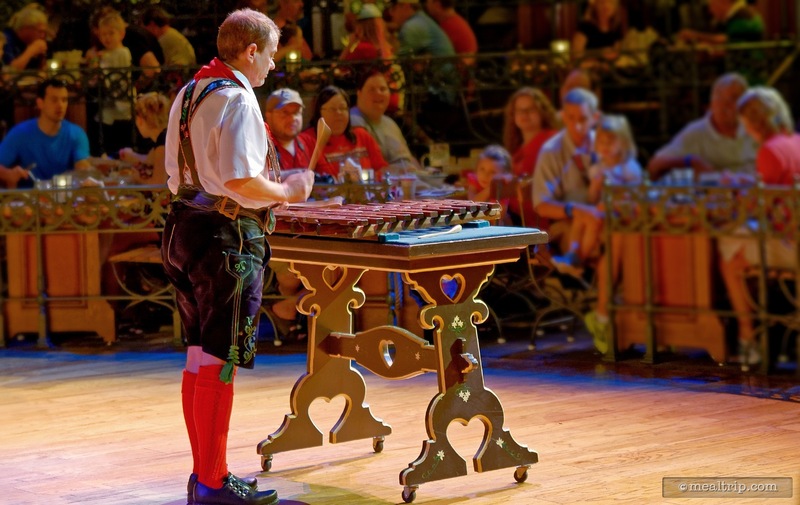 Oktoberfest Musikanten perform during dinner at Epcot's Biergarten Restaurant. One side of the buffet line (both sides contain the same foods). A view from one of the elevated tiers at the Biergarten Restaurant. 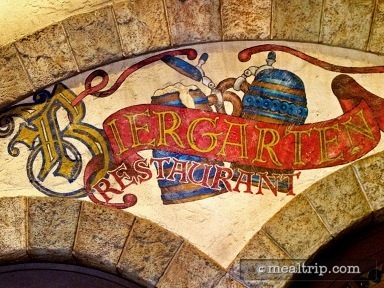 The Biergarten Restaurant sign under the easement just before going into the location.